Where does American Pharoah rank among the greatest horses in history? Now that American Pharoah has become the first horse to win horse racing’s Triple Crown in almost four decades, people are curious about where he ranks among the best race horses ever. Well, here is my unscientific answer to that question. Let’s start with the fact that 12 horses have now won the Triple Crown. Of those 12, all raced the same length in their victories except for 1919 winner Sir Barton, whose victories in the Preakness and Belmont came at shorter distances than what is now run in those races. So, let’s compare the 11 horses that won all three races from 1930 (Gallant Fox) to 2015 (American Pharoah). All 11 raced the same distance in the three races of the Triple Crown. The formula is quite simple: We are going to add the times of the three races for one grand total time (I told you it was unscientific). 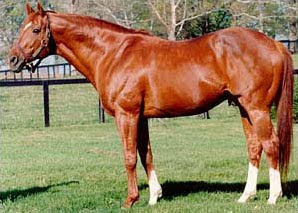 Before we do that, however, I am going to crown the greatest horse of all-time: Secretariat. Consider this… Secretariat has the fastest time in each of the three races, and he did it in 1973, over 40-plus years ago. If we compare Secretariat’s times in each race with American Pharoah, the closest American Pharoah gets to Secretariat is the Belmont; A.P. ran 2:26.65, while Secretariat’s 1973 time was 2:24, more than two seconds faster than A.P. Secretariat was almost five-and-a-half seconds faster in the Preakness and a little over 3.6 seconds faster in the Kentucky Derby. So with Secretariat as the greatest horse of all-time, where does American Pharoah rank based on adding the times of the three races together? Here are the results. It’s also interesting to note that the Triple Crown winners in the past seemed to come in bunches. After Sir Barton won the Triple Crown in 1919, seven horses won each of the three races in 19 years (from 1930 to 1948). After a 25-year drought, Secretariat won the Triple Crown in 1973; when Seattle Slew won in 1977 and Affirmed in 1978, it made it three Triple Crown winners in a span of six years. Now we have American Pharoah’s three-race win in 2015… could is mean a few more in the next years? Well, that’s my take on this debate. What do you think?